MetalCloak's new distressed hat is cool and comfortable with a great "worn in" look. 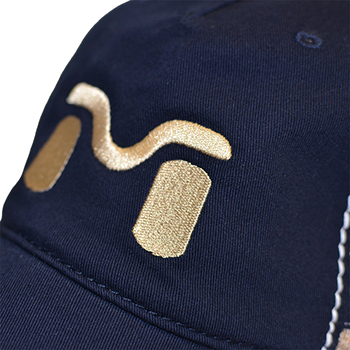 This incredibly comfortable cotton twill and polyester mesh distressed cap is accented with white stitching on the Navy blue with vented Khaki mesh back; the MetalCloak "M" is stitched in metallic khaki/gold embroidery on the front panel. Two piece Velcro strap closure on the back.